Going to trial in today’s public court system is slow, expensive, and full of risk. To solve these problems, First Court has operated a private court system for over 25 years that is fast, inexpensive, and safe for our clients. Our passion in the legal world is to be peacemakers. The purpose of our trials is to help real lawyers fairly evaluate and resolve their lawsuits. The lives of many people are dramatically affected by the judgments made and the verdicts decided by our jurors. We pay our jurors well, and we know that, like thousands of other jurors we have worked with over the years, you will find our private jury trial to be an interesting and satisfying to spend a day or a few hours. We will call most of the people to register to briefly interview them and answer any questions they may have. Everyone who registers will be notified by phone or email if they have been selected to be a juror or not. We conduct full-day trials all over the United States—from Los Angeles to Boston—utilizing jurors like you.We usually hire around 20 “regular” citizens from the county where the case has been filed to serve on the jury. FULL DAY and MULTI-DAY TRIALS are conducted in a conference center in the county where the case is set for trial. The lawyers appear live, and witnesses appear live, on video, or via written summaries. The jurors will be asked to provide feedback on the case throughout the day and will ultimately settle on a verdict to decide the case. LIVE DELIBERATIONS are initially conducted online. A large group of jurors weigh and comment on the evidence in a case over a 2-3 hour period through a secure website. Six jurors (who receive an additional payment) also deliberate in a local conference facility, face-to-face, the next day. 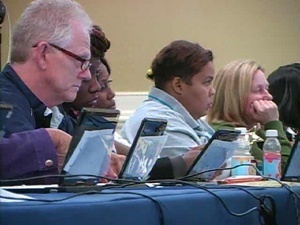 JURY REACTIONS are self-paced online trials. Jurors in these online focus groups evaluate the facts of a lawsuit from their homes over an hour or two hour period through a secure website. Online jurors must have a working webcam and be willing to provide some feedback on video. Jurors serving in a 1-3 hour online trials usually earn from $50 to $125. You can choose to be paid by PayPal or by a paper check. Payments are made within 7 days of your trial. Jurors serving in Full Day trials are usually paid around $175 in cash as they leave our courtroom. You may also be eligible to earn an additional fee for each new juror or case you refer into First Court. Jurors usually also get a continental breakfast, a good lunch, pizza toward the end of the day, and refreshments throughout the day. This is a private court system. No reporters. No public cameras. Our trials often involve serious physical injuries and confidential medical information. Our clients do not want their sensitive life details in the newspapers, or spread around the community. "What is said at First Court stays at First Court." For these reasons you will be asked to agree, before your trial begins, to keep the process strictly confidential. Jurors discuss their experience with a recent First Court Private Trial in Atlanta, Georgia. How are we doing? We would LOVE to have your feedback. Click here to view us on google. on the right side click "write a review". thank you! “As we began our adventure we were greeted with a handshake and a smile. Each process was explained to us by the Moderator. The Moderator kept us engaged and entertained. The chosen food and snacks were great and the setup and procedure of note taking and answers on computer kept all interested.